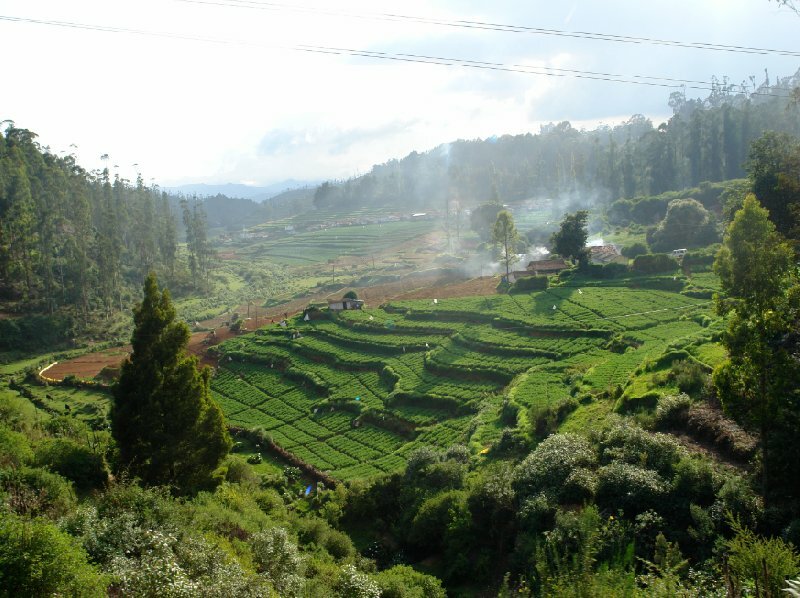 Amazing green landscapes, Kerala, India. 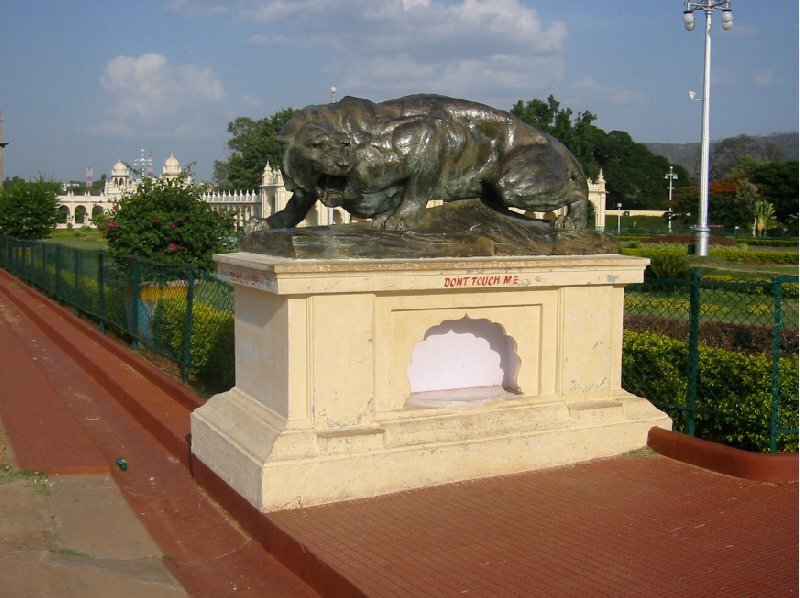 Don't touch me scuplture in India at the Mysore Palace Ground. 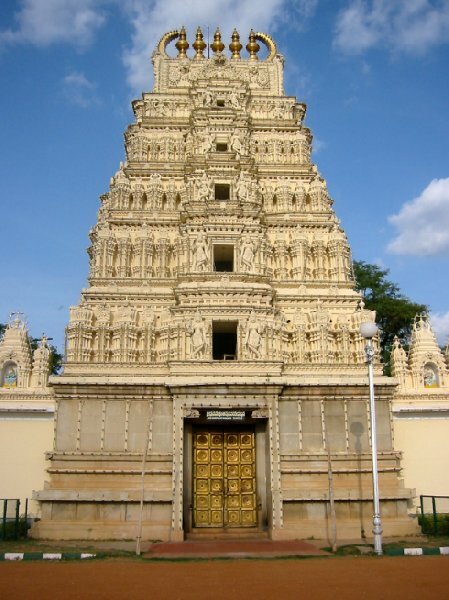 The Sri Bhuvaneswari temple in Mysore, India. 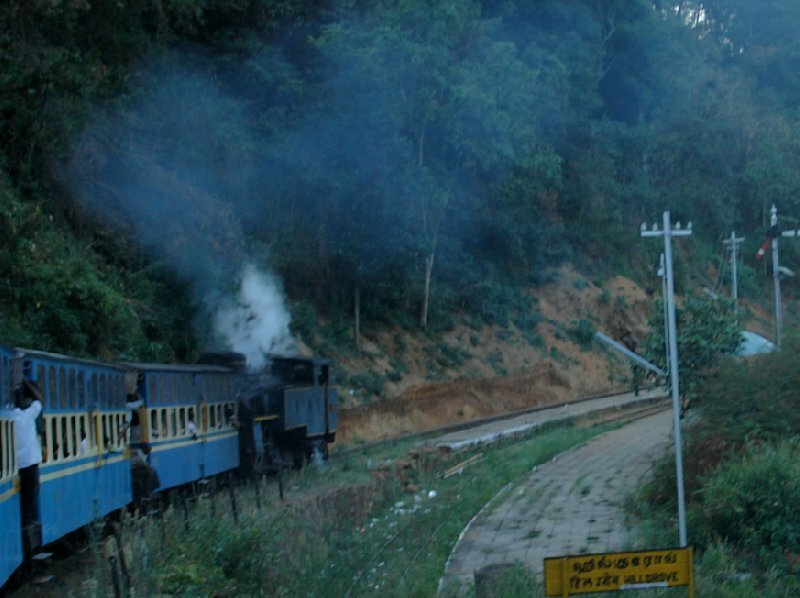 Photos from the night train in India. 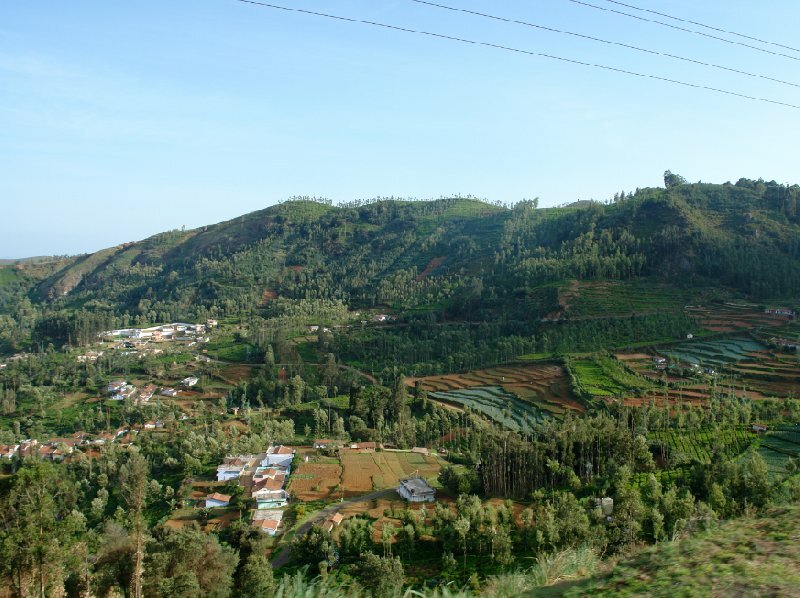 Panoramic photos of the Nilgiri Hills in Kerala, India. 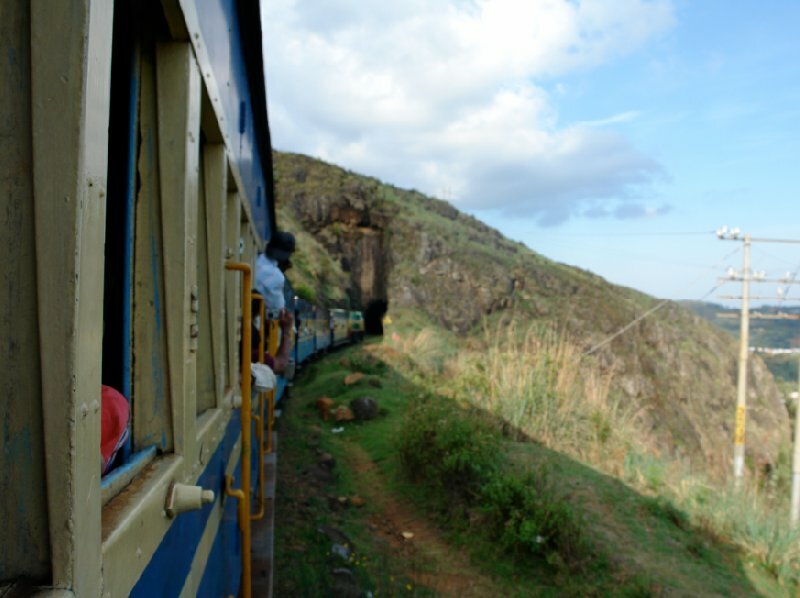 People watching out of the train windows, India. 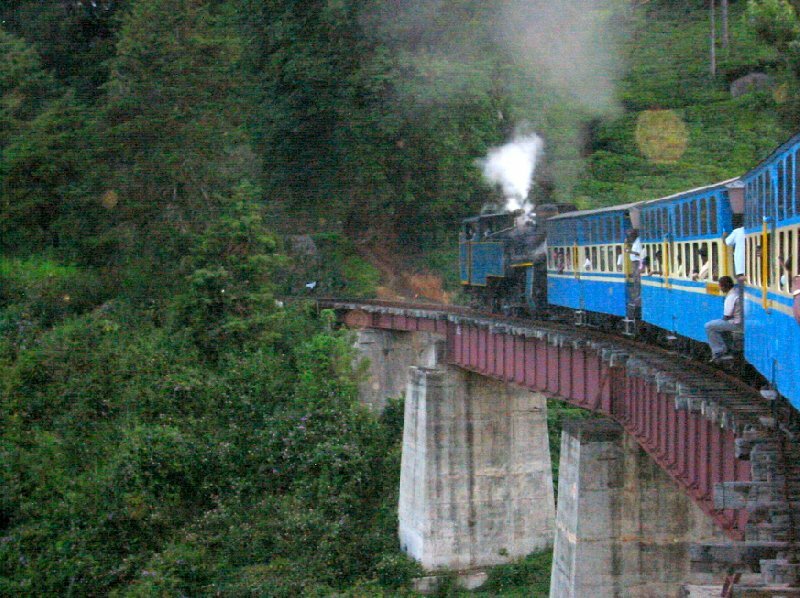 The blue old train bringing us to Kerala. 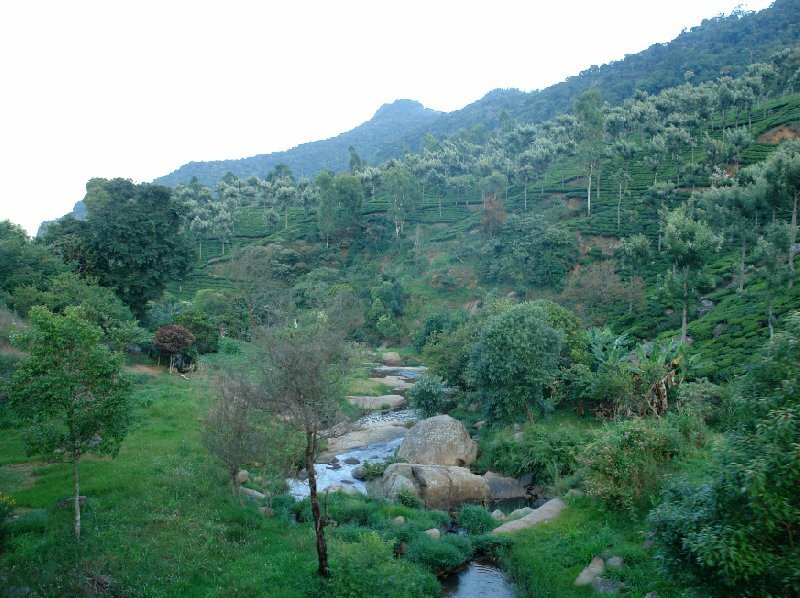 Pictures of the Nilgiri Hills in Kerala. 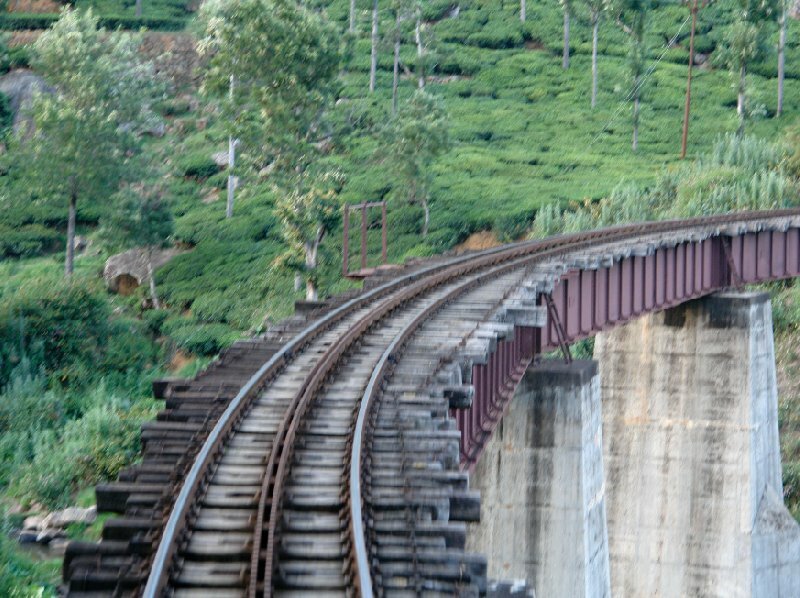 The train from Kochi to the south of India. 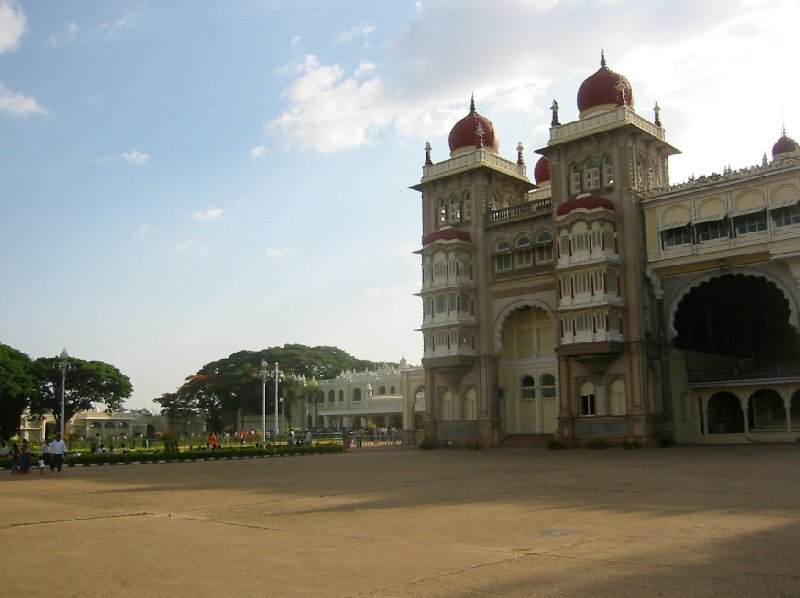 Photos of the attractions in Mysore, India. 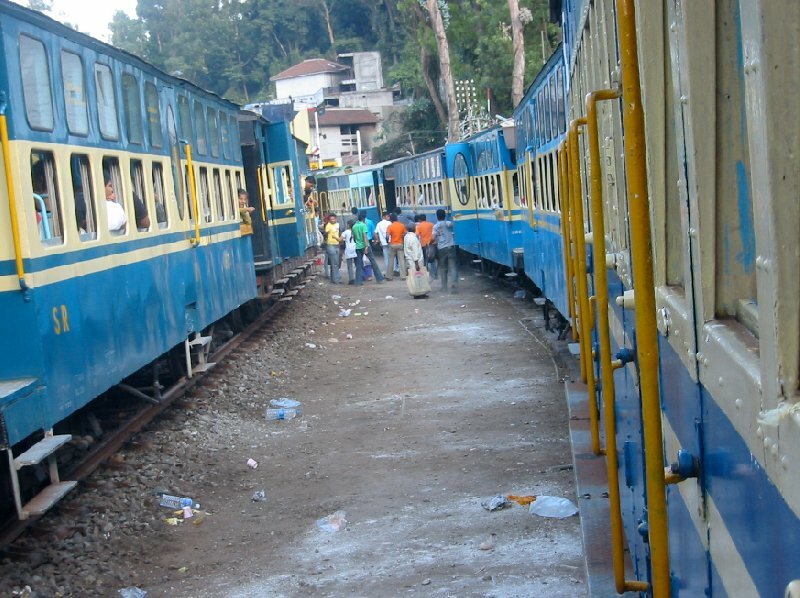 Pictures at the train station in Kochi, India. 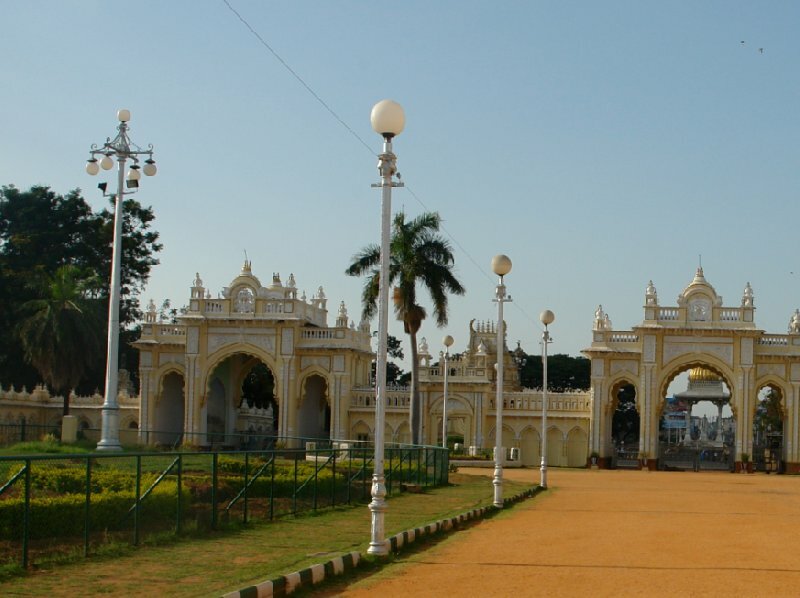 Golden chapels of the Mysore Palace. 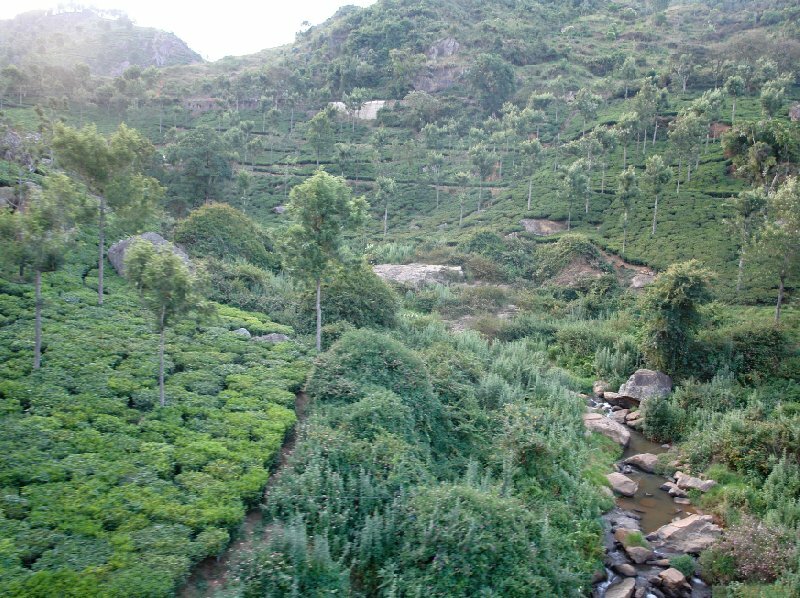 Photos of the Kerala region in South India. 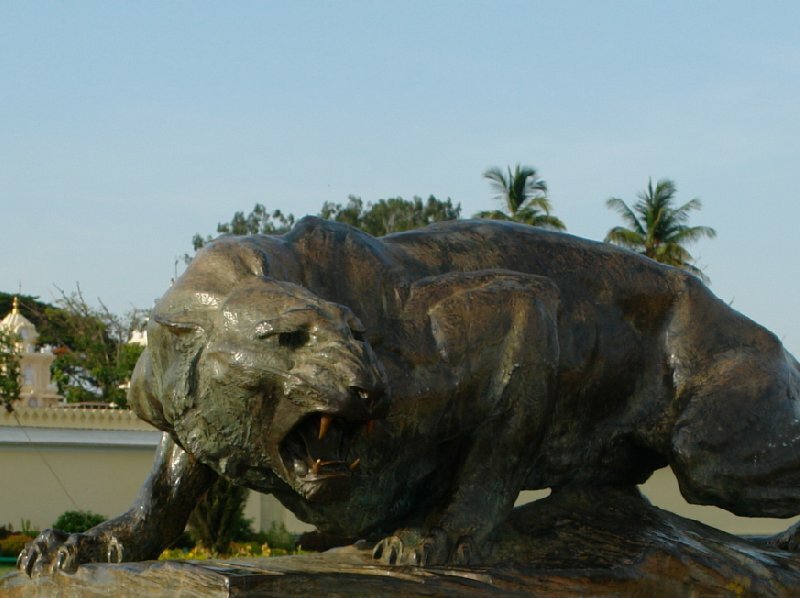 Bronze lion sculpture at the Mysore Palace. 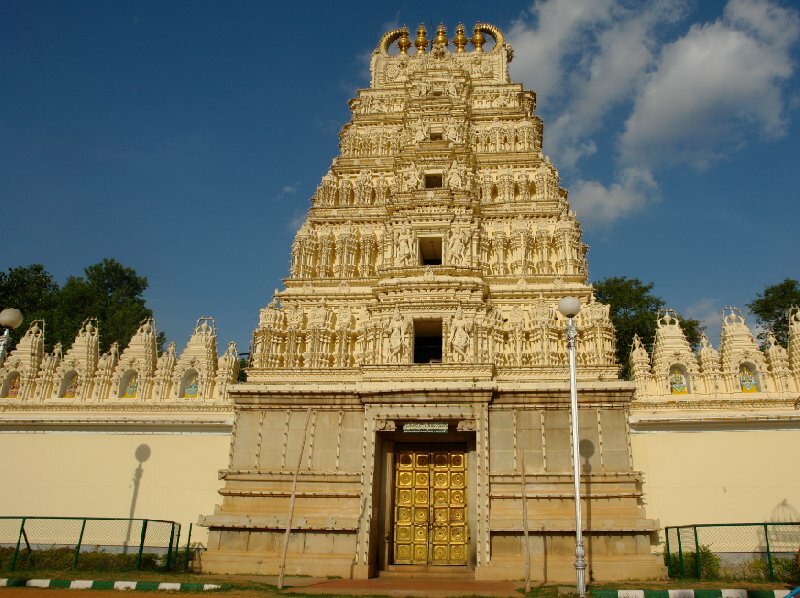 The golden door entrance of the Sri Bhuvaneswari temple in Mysore. 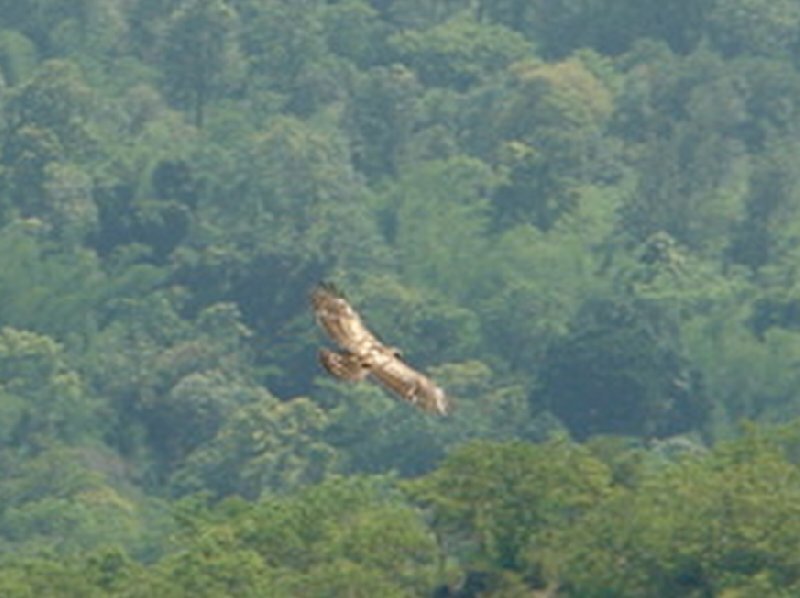 Photo of an eagle flying in the Nilgiri Hills of India. 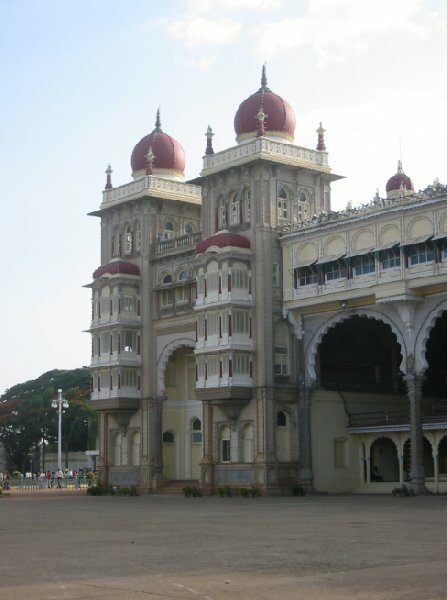 Photos of the Mysore Palace in India. 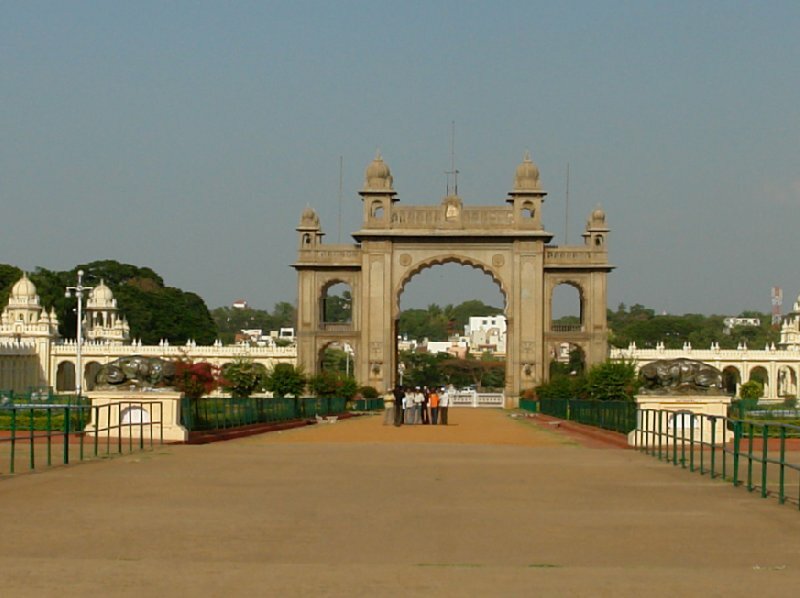 The gates to the Mysore Palace in India. 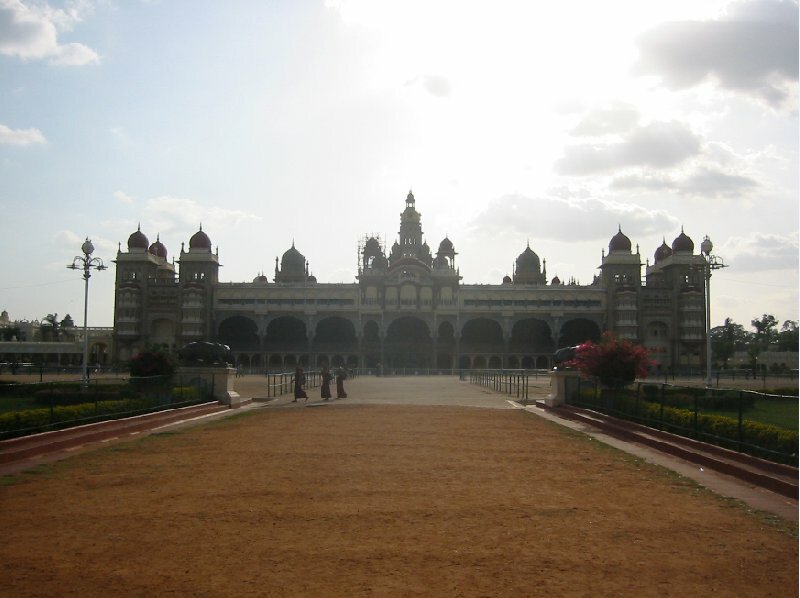 Photos taken at the Mysore Palace. 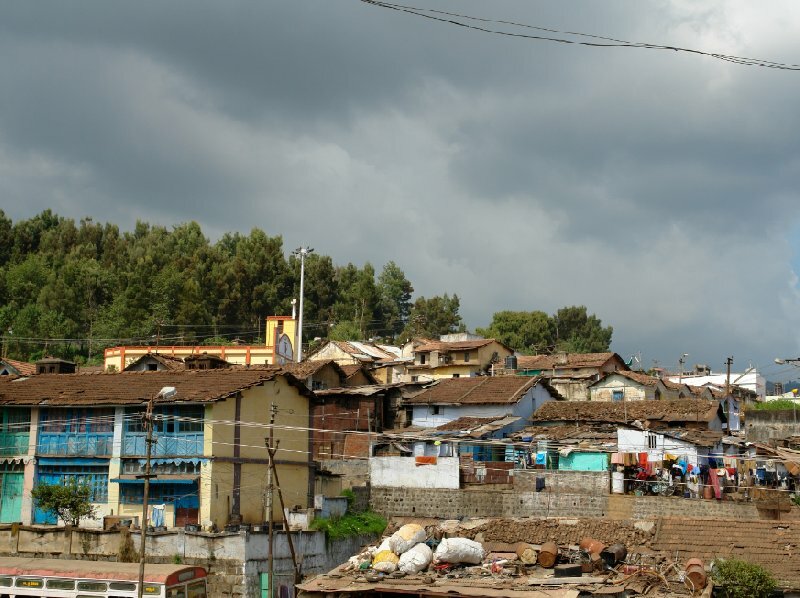 Photos of the Indian station slums. 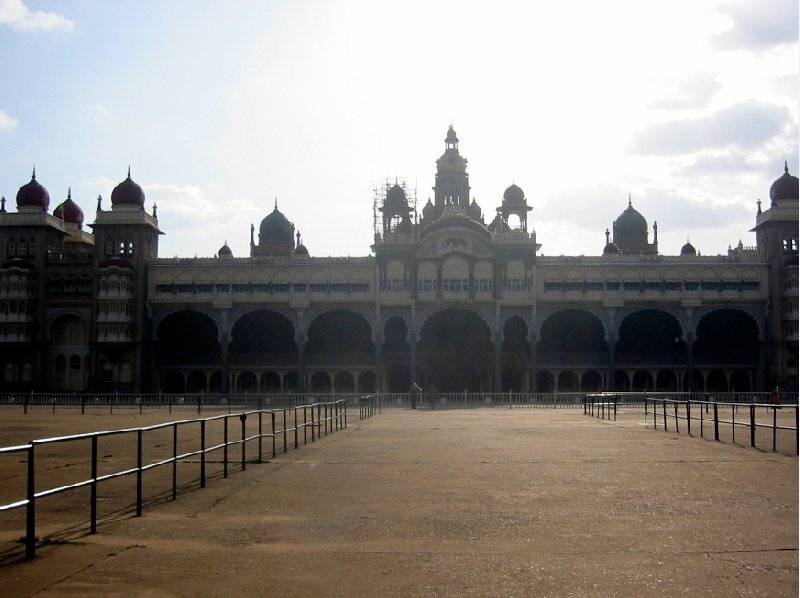 Day trip to the Mysore Palace Ground. 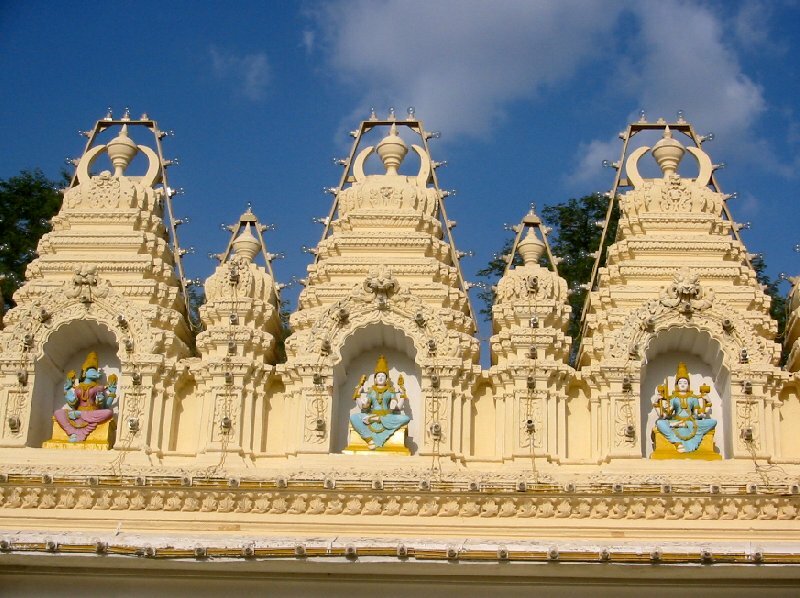 Ornaments and Hindu statues of the Sri Bhuvaneswari temple in Mysore. 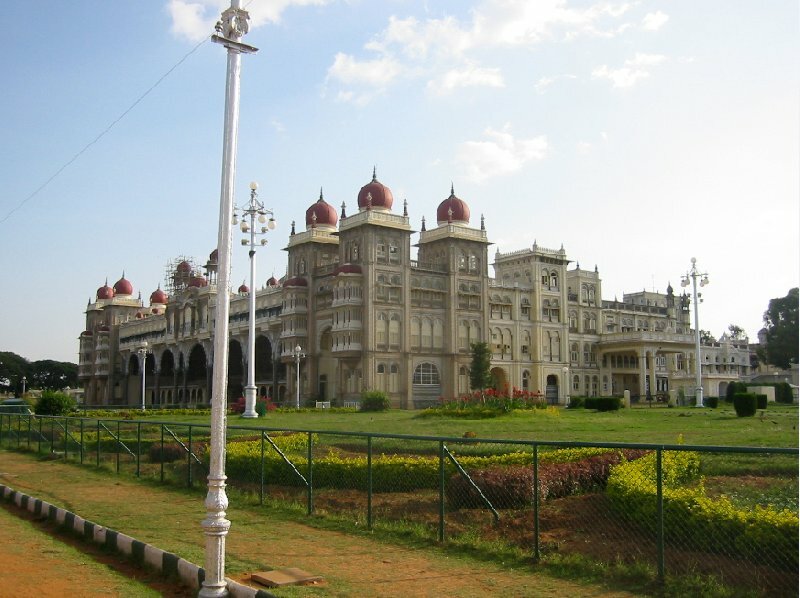 Picture of the Mysore Palace and the beautiful palace gardens, India. 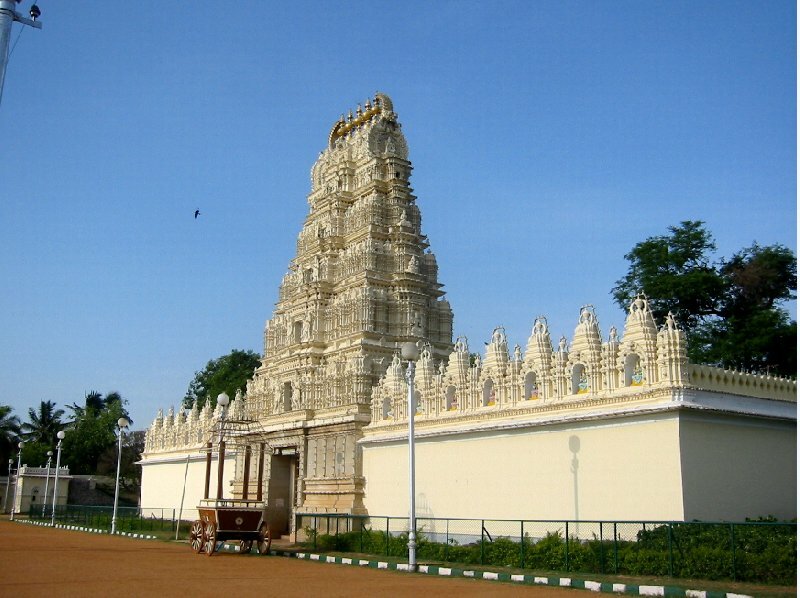 Photos of the Sri Bhuvaneswari temple in Mysore, India. 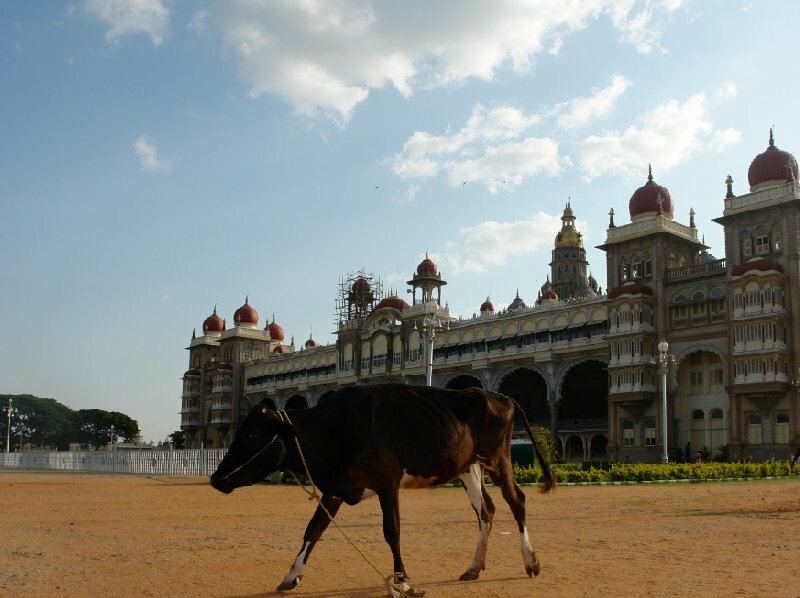 Indian cow posing in front of the Mysore Palace. 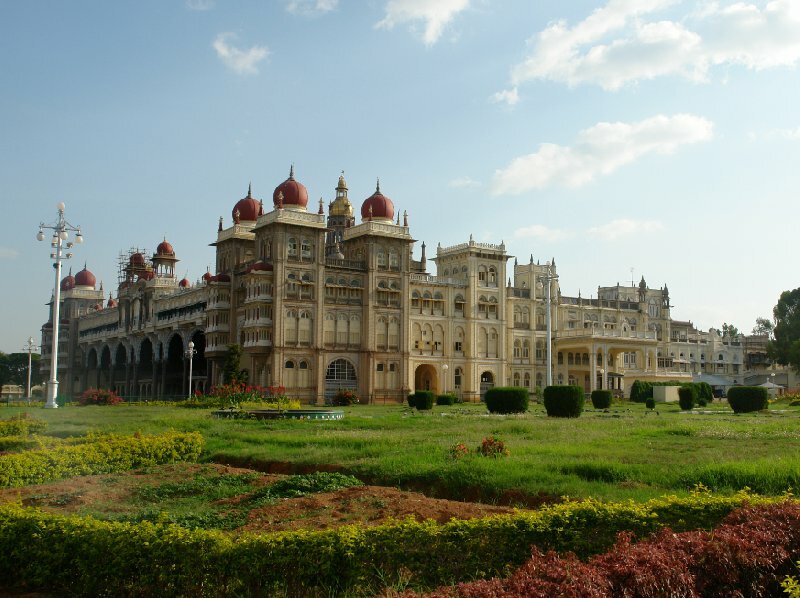 Pictures of the Mysore Palace in India. 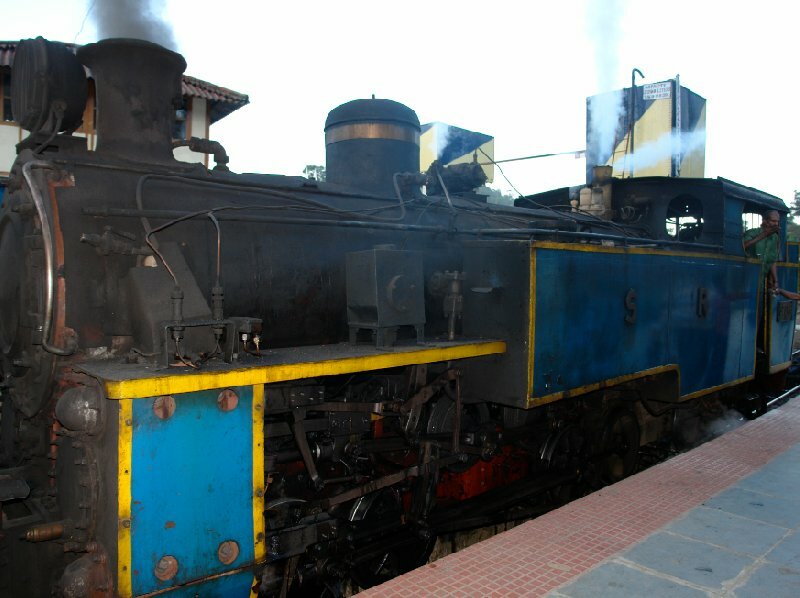 The engines of an Indian steam train. 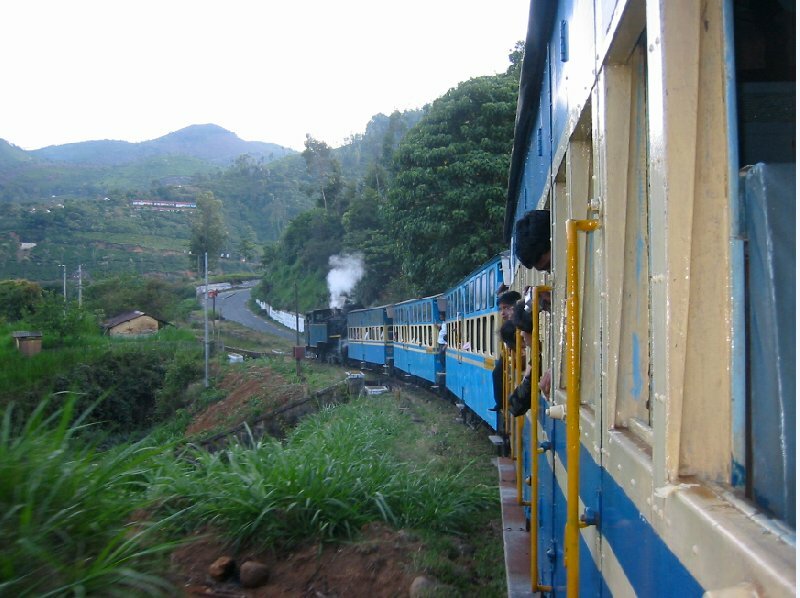 The Nilgiri Mountain Railway in Kerala, India. 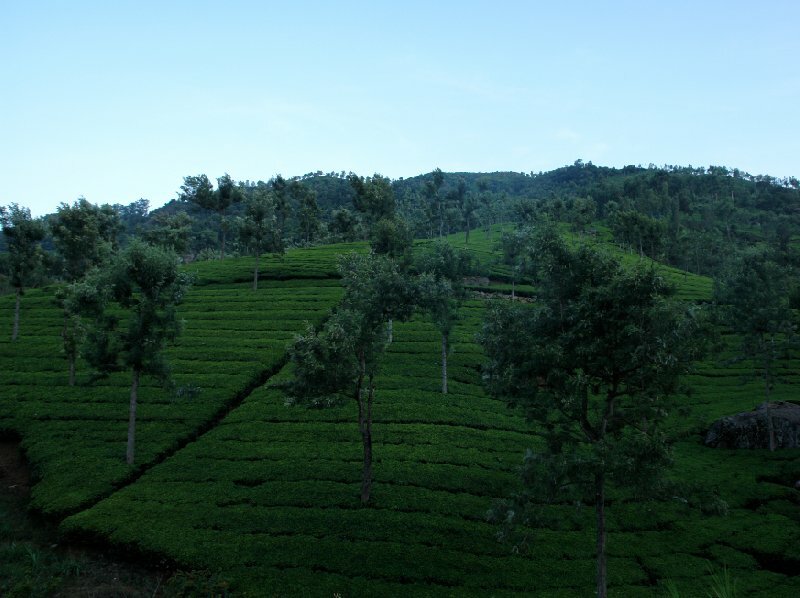 Photos from the overnight train in India. 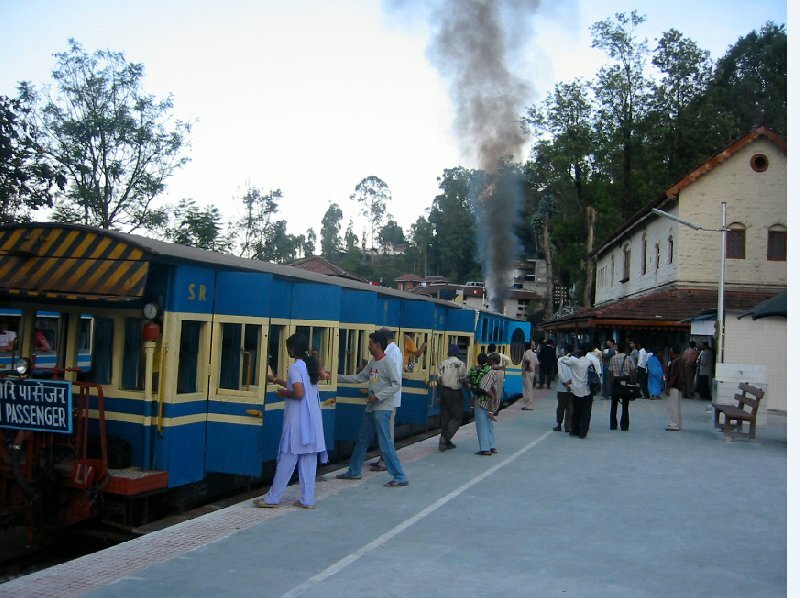 Pictures of the trains in India.